Presenting the new Nivea Milk Delights Face Wash With the goodness of milk proteins and moisturizing honey. This refreshing face wash is specifically designed for dry skin-types, it cleanses the skin gently and removes impurities resulting in clearer, smoother and healthy looking skin. Explore the entire range of Face Wash available on Nykaa. 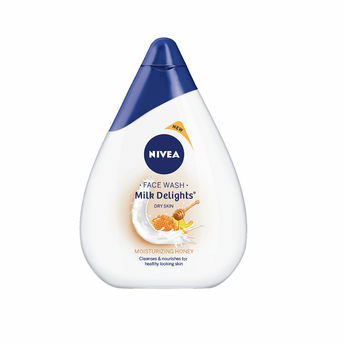 Shop more Nivea products here.You can browse through the complete world of Nivea Face Wash .Alternatively, you can also find many more products from the Nivea Milk Delights Moisturizing Honey Face Wash range.